Anyone who’s ever read my draft stuff knows that I am a huge believer in using relievers of all types, even in a typical 12-team mixed league. You should not be surprised by my 2019 NL-Only Relief Pitcher Rankings when you see plenty of non-closers represented. In a mono-league, I am firmly convinced that using middle relievers is one way you can ‘game’ the 5X5 scoring categories. If you’re not ready to buy into putting this much value into middle relievers, maybe this article will help sway you. My rankings are directly based on the projections you see accompanying each pitcher. I’m fairly conservative with my projections, but with the nature of saves totals I think you have to be. Things are a little more settled in NL bullpens than in the AL, but there are some situations to watch. When the Cardinals signed Andrew Miller, the first inclination was to think he would finally get his shot at full-time closing duties. Now it seems like he might get as large a chunk of the saves as we thought. Hopefully we get more clues on how this will play out as Spring Training progresses. The Cubs bullpen will also be interesting to watch. It looks like Brandon Morrow will miss at least a month. Early talk has Pedro Strop getting first crack at closing duties, but in Steve Cishek, Brandon Kintzler, and Brad Brach, they have no shortage of options. I’ll roll with Strop until I hear different. It’s hard to argue with the success Kirby Yates had last year. I’m just not ready to buy into him as a dominant reliever. Maybe it’s because I got to watch him in Tampa Bay for a couple years. 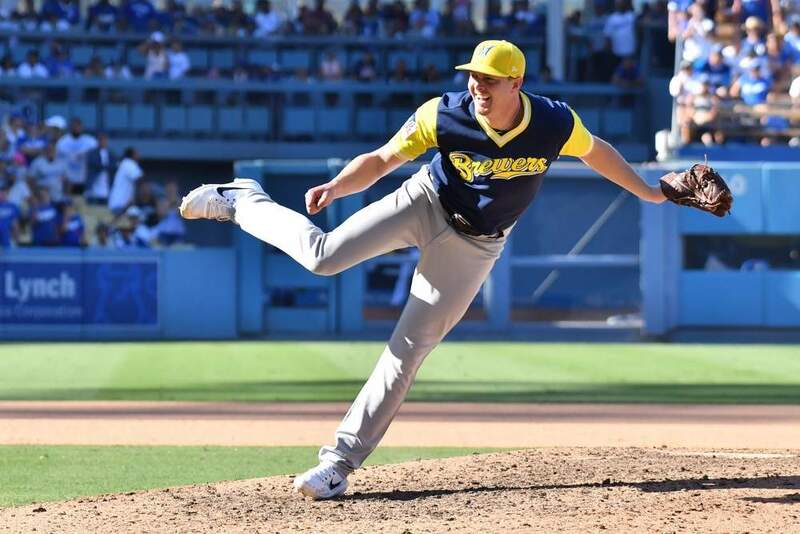 Even if he has made the changes to turn into this elite reliever, are the Padres going to hold onto him come the trade deadline? Not when they have another dominant reliever waiting in line. I’m talking dominant to the tune of a 12.21 K/9 in 2018. Jose Castillo, oddly enough another former Rays farmhand, may get labeled as a left-handed specialist, but his K/9 was actually higher against right-handed hitters last year. Castillo will be on a ton of my teams this season in both NL-Only and mixed leagues. His control could be better, but his 0.91 WHIP in 2019 says he was plenty hard to hit. Hector Neris is another middle reliever I will be all over. His first half was a mess and it ruined his full-season numbers. He returned to form in the second half and posted a 2.04 ERA with a 17.83 K/9. I don’t necessarily expect Seranthony Dominguez to lose the closer gig, but Gabe Kapler is not exactly traditional. Neris could get his fair share of ninth innings if he picks up from where he left off in 2018. Similar to Neris, Corey Knebel went through some rough stretches in 2018, but seemed to right the ship. He’s had two consecutive years with more than 14 strikeouts per nine innings and was mostly doomed by a 20.6 HR/FB% that was more than double his 2017 mark. He will be fine even if he doesn’t get every save opportunity. 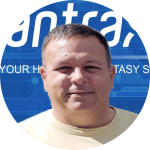 Will your site be providing predicted fantasy baseball auction values? AL-only, NL-only? When? Yes, we will. I have some pretty much ready, but with so many free agents still as yet to sign, I’ve been holding off for a bit. We’ll have auction values for 15-team mixed, 12-team mixed, and 12-team AL & NL-Only. Let me know if you have something different I can run a set for you. I would like to suggest adding “Holds” as a category, it’s becoming very useful in Fantasy these days. I like the idea of adding categories to make middle relievers more valuable, but Holds is so variable and almost impossible to project with any real accuracy. If I bring Holds in I like Holds + Saves much better. Helps balance things out between closers and important middle relievers. Hopefully Castillo can come back by midseason and avoid going the Tommy John route, unlike some other flexor strain victims (i.e. Salvy Perez). Yeah, he was going to be on all of my rosters, but I’m not holding out too much hope. That Josh Hader type impact relief role is not exactly the best case for someone with an ailing elbow.